We have total confidence in the ability of all of our team to deliver an exemplary service to our customers. Well, if you read some of our background information on our website, then you’ll see that we have a strong family business tradition. Our founders have known each other and worked together for many years and both of their families are fully involved in running our business. Not only that but we are also extremely selective about the people that we take on board to join our team. We have never simply gone out and recruited people in order to make up the numbers and we also invest heavily in their training and development. You can be sure that all of our personnel have been fully checked, vetted and have been known to us for some time. Yet this is more than just about making a few enquiries when we have recruited people in the past. When we are interviewing people, we are also looking for evidence of the right mind-set. Attitude is one of the hardest things to assess and it takes a lot of in-depth experience to do so. That’s not only experience of the removals business but also of people and we push that hard before deciding whether or not somebody will be able to fit into our team and deliver on our core values. It’s something we put a lot of effort into and will not compromise on. This is an important area for moving companies. 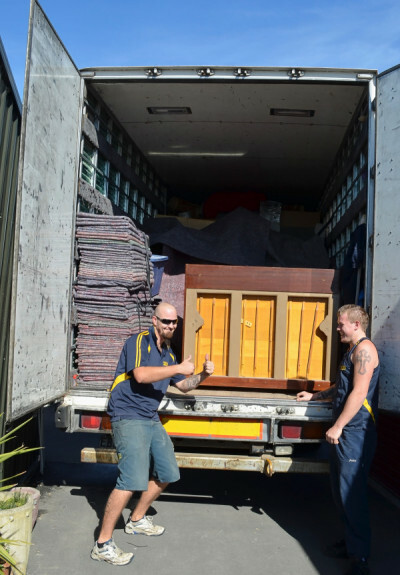 Christchurch, Auckland or anywhere else for that matter – your removals personnel will need to have access to some of your most prized household possessions and it’s important that you can trust them. That’s something you need have no concerns about where Total Care Removals is concerned. If we ever had even the slightest doubt about someone, they would simply never get through our recruitment processes and join our team.